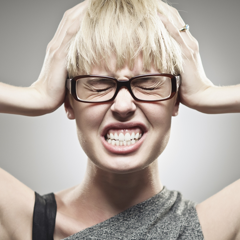 Tooth sensitivity (sensitive teeth) is a common way of feeling overdressed or tooth sensitivity. 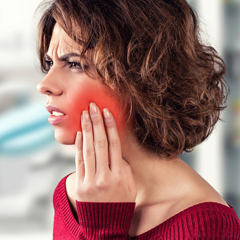 If you eat hot, cold, sweet or sour foods or when you breathe in cold air, you have a feeling of sensitivity or toothache that means you have sensitive teeth. Sensitive teeth are a very common phenomenon and it is estimated that about half the population has sensitive teeth. Sensitive teeth can occur and disappear over time. Tooth sensitivity is usually caused by dentin in the root area exposed by gum recession or periodontal disease. Gingivitis is a very common phenomenon and it is estimated that up to four in five people aged 65 years have this condition. 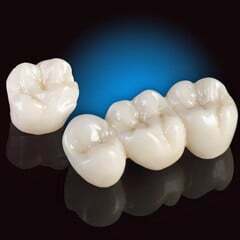 When exposed, the tooth does not have a glaze like crowns. 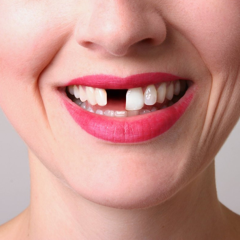 Instead, the root of the tooth has a thin outer covering called a cement. When the tooth is lost, the dentin will be exposed. 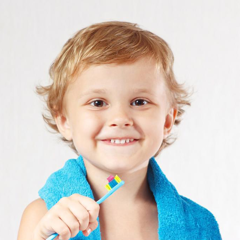 Over-brushing or high abrasive toothpaste can also damage the enamel surface and expose it. A high acidic diet - such as lots of sour foods, pickles or sodas - can cause tooth erosion and decay of the tooth surface and lead to cataracts. Bulimia and esophageal reflux can also result in worn teeth or sensitive teeth caused by acid in the mouth. Notifying your dentist when you know you have sensitive teeth is very important. 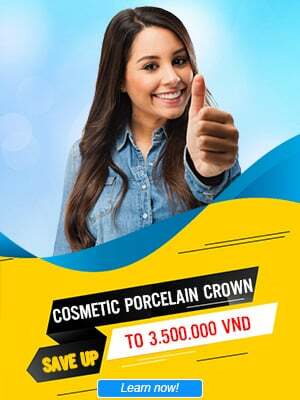 They can give you a dental check-up, help you spot sensitive teeth problems, and help you choose the best treatment. When your teeth are sensitive, you will feel toothache when combing. 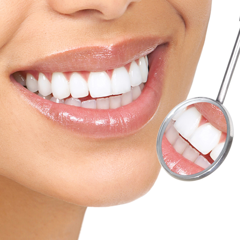 As a result, if you brush your teeth too hard, you will face more risk of tooth decay and gum disease. 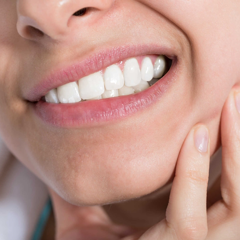 The pain you experience after eating hot, cold, sweet and acidic foods can also be a sign of tooth decay with a cavity, or as a sign of a broken tooth. 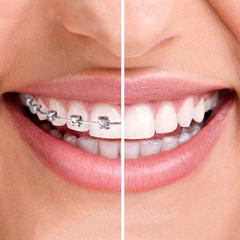 In this case, your dentist will treat your treatment with a dental fill or other treatment. 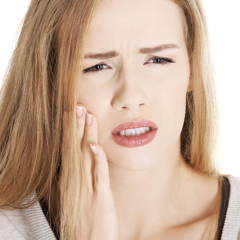 Causes of pain in dentin exposed? 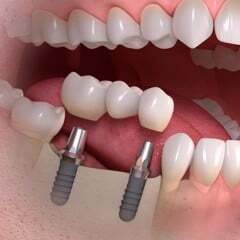 Dental implants contain thousands of tiny ivory tubes that can only be observed with a microscope. 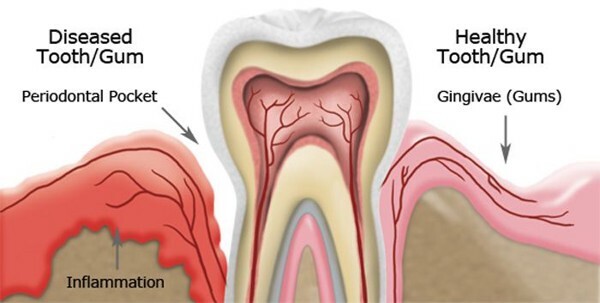 These tubes connect from the tooth surface, through the dentin to the nerve center of the tooth in the pulp. These tubes contain fluid. After eating or drinking hot or cold food, the fluid in these tiny ivory tubes moves and stimulates the nerve fibers in the teeth to cause toothache. You can reduce the risk of tooth sensitivity by maintaining oral hygiene to prevent gum recession and periodontal disease. Brushing and flossing properly as recommended by the dentist. Also, using a low abrasive toothpaste can reduce the risk of tooth sensitivity. A non-acidic diet also prevents tooth sensitivity. Failure to treat sensitive teeth can lead to other dental problems, especially the painful sensation of brushing that will cause you to brush badly - a risk of tooth decay or periodontal disease. The first thing to do is see a dentist. 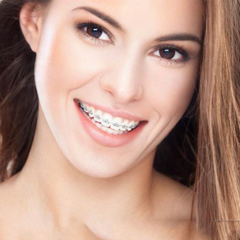 They can help you determine the best course of treatment. It is more meaningful to tell the dentist in case the tooth is not sensitive to the dentin and to the teeth of a serious problem. For sensitive teeth, your dentist may recommend the use of a low abrasive toothpaste specially formulated for sensitive teeth - a desensitizing toothpaste. This type of toothpaste reduces sensitivity if you brush your teeth twice a day. In addition, this type of cream also contains fluoride that protects teeth and protects against tooth decay. 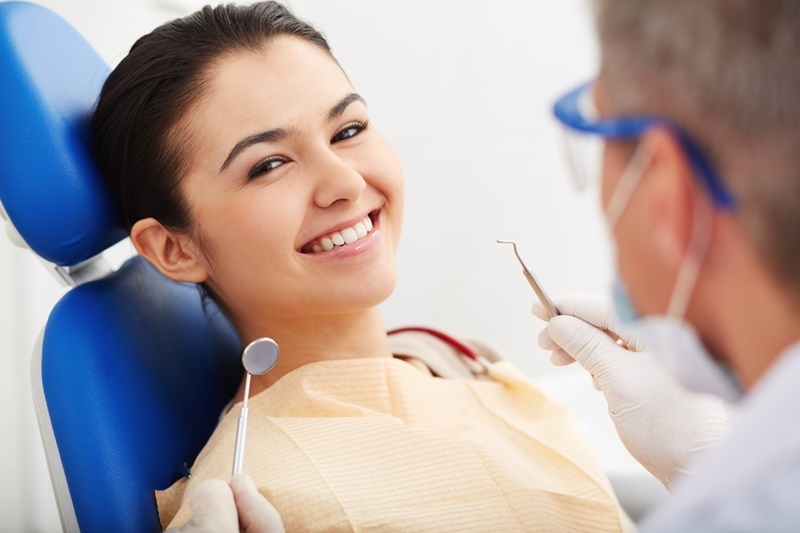 In addition, there are other dental treatment options that dentists or dental specialists can perform at the dentist's office. 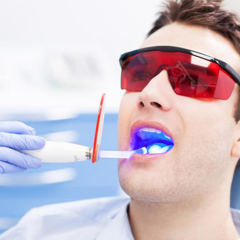 These treatments include fluoride and glue applied to the teeth, fillings if the tooth surface is damaged, and special laser treatment. You should ask your dentist or dental practitioner about the best way to treat tooth sensitivity. 2. Albandar JM, Brunelle JA. Kingman A. 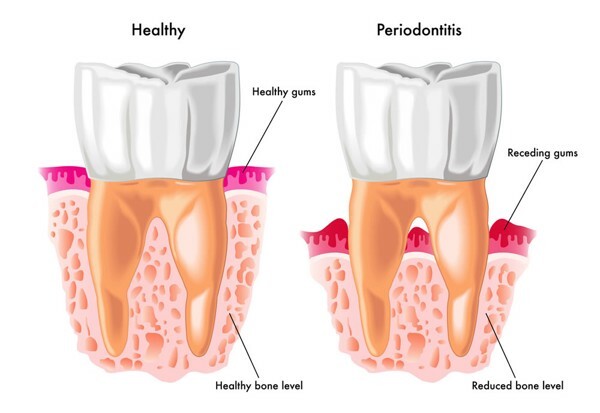 Destructive periodontal disease in adults 30 years of age and older in the United States, 1988-1994.